I would be curious to know if the history community is working with these Regional Development Councils since as everyone knows tourism is big business in New York: how to get rid of hickeys. People may mistakenly think these councils are only for factories or projects of that nature. As a result the history community may shut itself off from where the real money is. Don’t confuse the Regional Economic Development Councils for the Path through History, a top-down project which is poorly funded for actual distributions at the local or regional level. These regional councils are much more grassroots based. In 2011, Governor Cuomo created 10 Regional Councils to develop long-term strategic plans for economic growth for their regions. A key component of Governor Cuomo’s transformative approach to economic development, these councils are public-private partnerships made up of local experts and stakeholders from business, academia, local government, and non-governmental organizations. 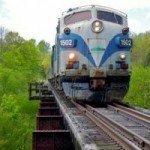 Over the past two years, as part of a process that has awarded over $1.5 billion for job creation and community development, the Regional Councils produced innovative plans and implementation agendas that truly reflect the distinct characteristics of each of the 10 regions of our great state. 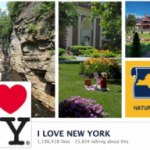 New York is keeping the momentum going with a third round of funding this year for the Regional Councils, including $220 million to implement regional strategies and priorities. The Regional Councils have redefined the way New York invests in jobs and economic growth by putting in place a community-based, bottom up approach. The third round of awards will once again allow the regions to continue pursuing and investing in its own economic destiny. As part of Governor Cuomo’s efforts to improve the state’s economic development model, a NYS Consolidated Funding Application (CFA) was created to streamline and expedite the grant application process. The CFA process marks a fundamental shift in the way state resources are allocated, ensuring less bureaucracy and greater efficiency to fulfill local economic development needs. The CFA serves as the single entry point for access to economic development funding, ensuring applicants no longer have to slowly navigate multiple agencies and sources without any mechanism for coordination. [Emphasis added] Now, economic development projects use the CFA as a support mechanism to access multiple state funding sources through one application, making the process quicker, easier, and more productive.. There are 26 programs available through 13 state agencies in 2013, including Empire State Development; NYS Canal Corporation; NYS Energy Research and Development Authority; Environmental Facilities Corporation; Homes and Community Renewal; Department of Labor; Office of Parks, Recreation and Historic Preservation; Department of State, Office of National and Community Service; Office of Temporary and Disability Assistance; Higher Education Services Corporation; Department of Environmental Conservation; and Council on the Arts. 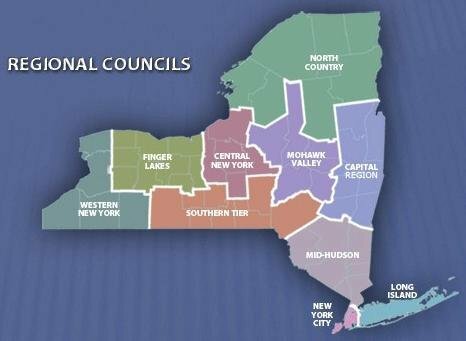 The 2013 Available CFA Resources Manual, which outlines the funds available from 29 state agency programs, and the 2013 REDC Guidebook, which provides the competitive guidelines for this year, are both available at www.regionalcouncils.ny.gov. As I examined the schedule of meetings below I recalled the complaint I made about the Mid-Hudson regional meeting in January for the Path through History project: there was one meeting for the entire region and it was in Dutchess County. The location was convenient for the organizers but it was not the demographic, geographic, or tourist center of the region. By contrast notice how many workshops are being held in each region of these councils which reflect a greater emphasis on reaching out to the community they serve. There is no Mohawk Valley, no Adirondacks, and no Hudson Valley. APHNYS, the organization for municipal historians uses a 12-region division with numbers and not names that do not exactly match up with the others either. It appears that only New York City and Long Island are consistent regions. So besides the perennial game of where does Upstate begin and what is North Country we can add “What region are you in?” to the myriad of challenges designed to maximize the head spinning. Names matter. The babel of regional names isn’t simply an issue of someone struggling to know what region he or she is depending on what issue is being addressed. 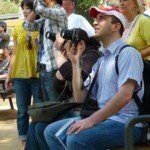 Even besides that confusion, there is a tourist consideration. Part of tourism is branding. Names like the Palisades, the Hudson Valley, the Catskills, the Champlain Valley, the Mohawk Valley, the Finger Lakes mean something. No one says, “Let’s plan a vacation to central New York.” And while the Taconic Parkway exists in Westchester it is because the parkway goes to the Taconics, not because Westchester is in the Taconics. Branding helps promote tourism if used intelligently. In any event, the history community needs to be aware that these Regional Economic Development Councils exist, that they offer one-stop shopping among a myriad of state agencies, that real money is involved, and they are the only serious opportunity to get money. These meetings are your chance to make a local connection and you should take advantage of them. Remember, by and large the business people on the Regional Economic Development Council don’t know who you are. I have been ceaselessly touting the need for collaboration especially at the county level among the Tourist Department, County Historian, and historic organizations. The Regional Economic Development Councils are one place where such partnerships might pay off in money if not this round then in setting the foundation for the next one. The potential path to money is through these Regional Economic Development Councils. Make the effort to find out what’s going on.